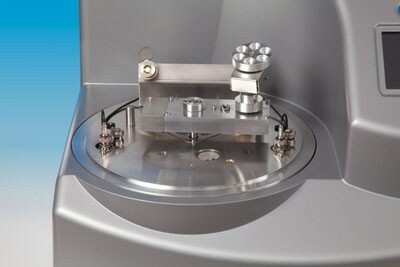 The EMS 300T D Plus is Suitable for multi-layer sequential sputtering of two materials, the EMS 300T D Plus has two independent sputtering heads, which allows sequential sputtering of two metals without the need to break vacuum. The system is fully automated with user defined recipes controlling the pumping sequence, time, number of sputter cycles, and the current used during the process. Unlimited layers of varying thickness from two target materials can be sputtered sequentially by cycling between both targets. When not in use the targets are shuttered for protection from contamination. 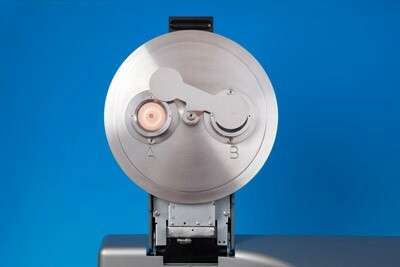 The EMS 300T D Plus has two independent sputtering heads to allow sequential sputtering of two different metals without the need to 'break' vacuum, for example, a thin 'seeding' layer of chromium (Cr) followed by deposition of gold (Au). An automatic shutter mechanism enables cleaning of oxidizing sputter targets and protects the second target and substrate during coatings. For single metal applications one target can be selected. The EMS 300T D Plus has substrate stages to meet most requirements. All are easy-change, drop-in style (no screws) and are height adjustable (except the rotary planetary stage). A swinging arm stage drive is supplied as standard, which is a stage drive and positioning mechanism that positions the stage under the correct target. Rotation speed is variable between 14-38 rpm. 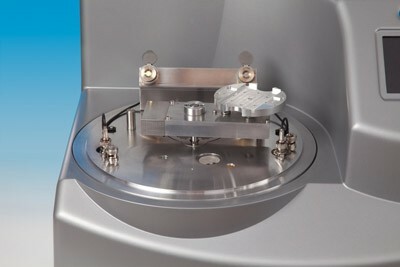 In addition a flat, adjustable stage capable of accepting 4" (101.6 mm) wafers is supplied as standard with the EMS 300T D Plus. 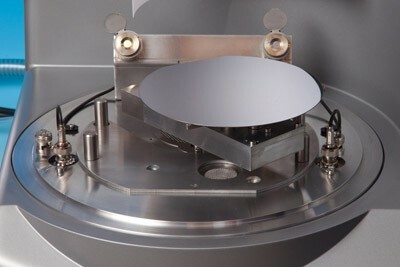 As an accessory, a 6" wafer stage is available, which is a flat adjustable stage capable of accepting 6" or 150 mm wafers. The stage includes two masks for improving uniformity of coating. Rotation stage – 50 mm Ø. This stage only rotates and has no tilt or height adjustment. Rotate-tilt stage – 50 mm Ø. With height adjustment (target to stage height variable between 30-80 mm). The tilt angle can be pre-set (horizontal to 30°). Sputter coating is a technique widely used in various applications; it is possible to create a plasma and sputter metals with high voltage, poor vacuum and no automation. However, this is not suitable for some applications because it can heat the substrate and result in damage when the plasma interacts with the substrate. The EMS 300T D Plus uses low temperature enhanced-plasma magnetrons optimized for the turbomolecular pump pressures, combined with low current and deposition control, which ensures your substrate is protected and uniformly coated. The EMS 300T D Plus uses easy-change, 57 mm diameter, disc-style targets which are designed to sputter oxidizing and noble metals. It is fitted with gold (Au) and chromium (Cr) sputter targets as standard. Aluminum (Al) rapidly forms an oxide layer which can be difficult to remove. The EMS 300T D Plus has a special recipe for Aluminum that reduces the oxide removal time and prevents excessive pre-sputtering of the target. 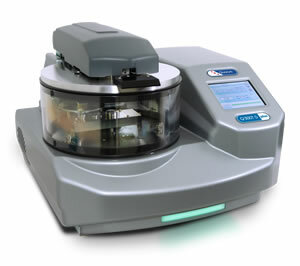 The EMS 300T D Plus can be fitted with an optional dual film thickness monitor (FTM), which measures the coating thickness on two quartz crystal monitors located within the chamber. The thickness measured on the monitor can be correlated to the thickness on the substrate using a mathematical formula built into the software; this allows the user to control the thickness of material deposited on to the substrate. For example, the EMS 300T D Plus can automatically terminate a coating profile when the required thickness has been achieved. Alternatively, the process can be terminated by time.